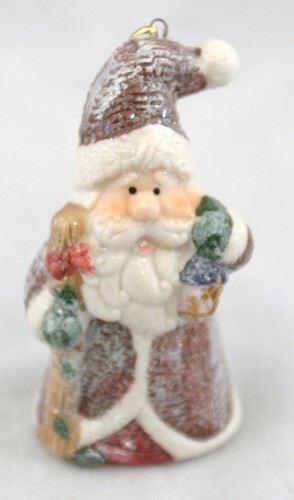 Glittery ceramic Santa Claus ornament. Purple robes with Yule log and lantern. He wears white-trimmed red robes and green mittens.